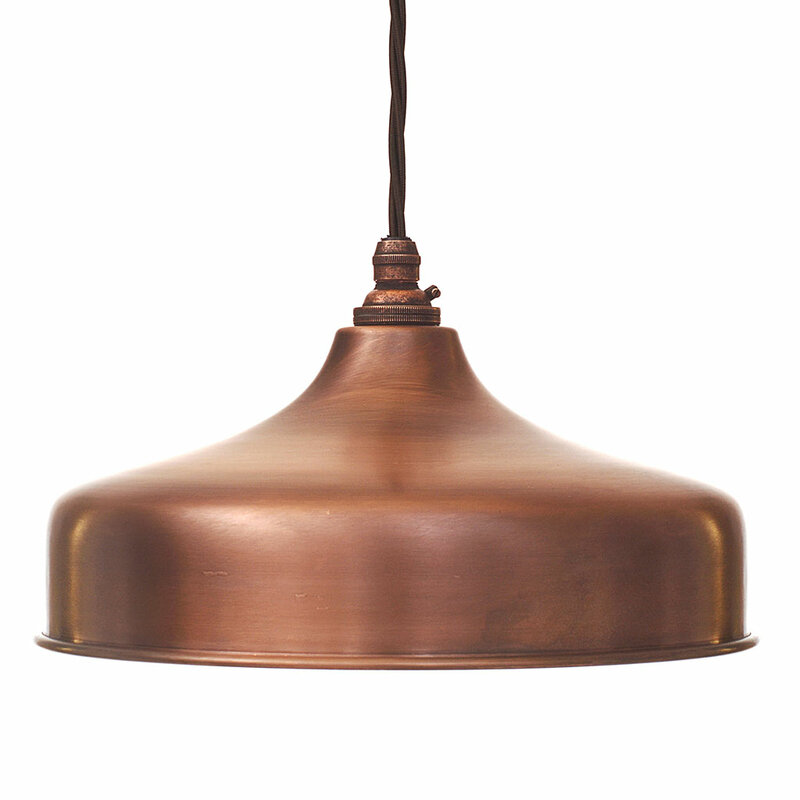 With its elegant silhouette, this pendant is an exciting new addition to our range. 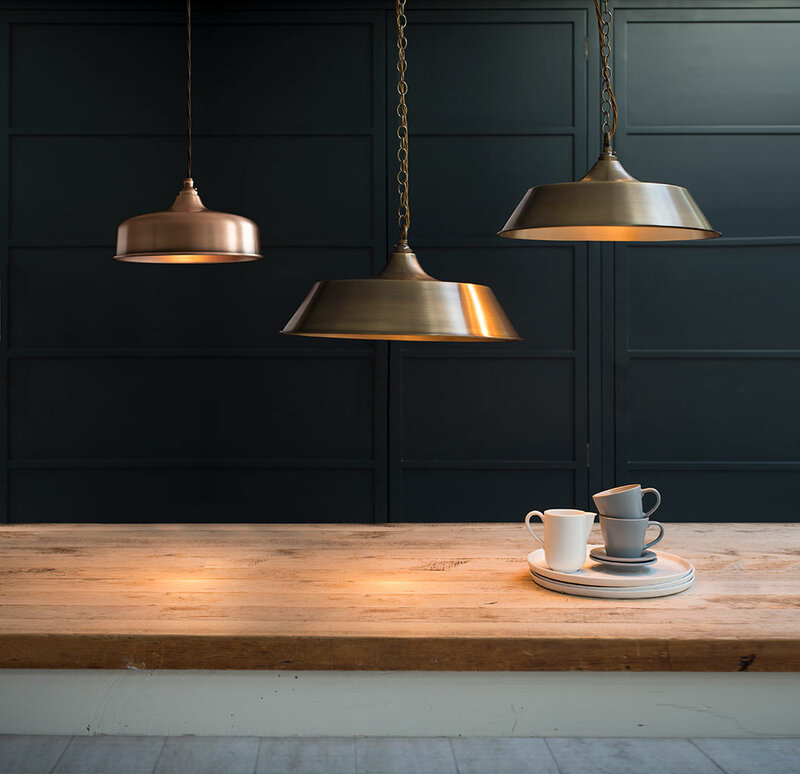 A classic pendant ceiling light with a nod to retro styling, it would be particularly at home in the kitchen highlighting an island or table. 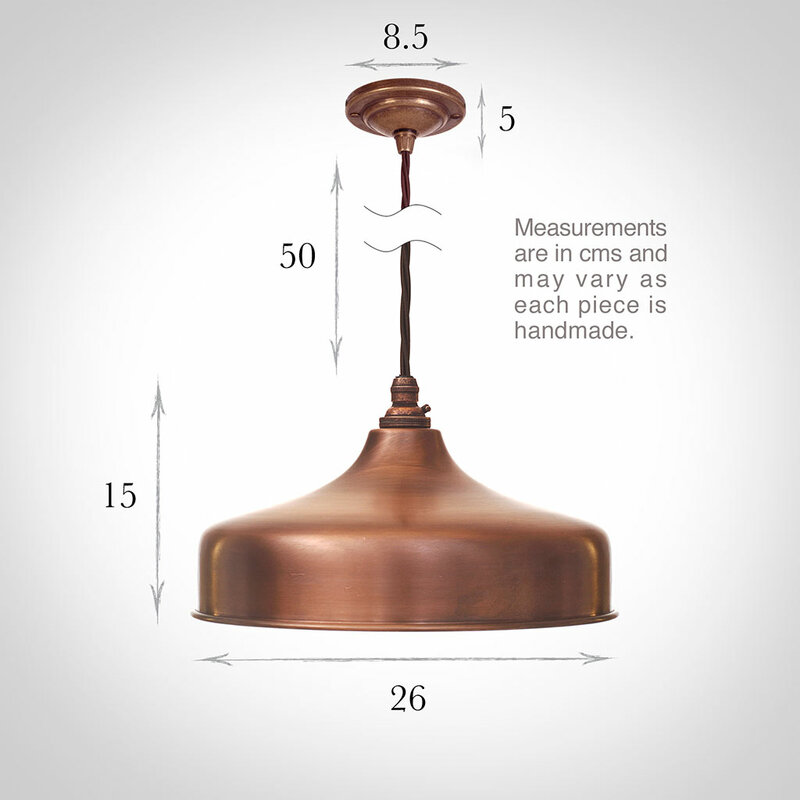 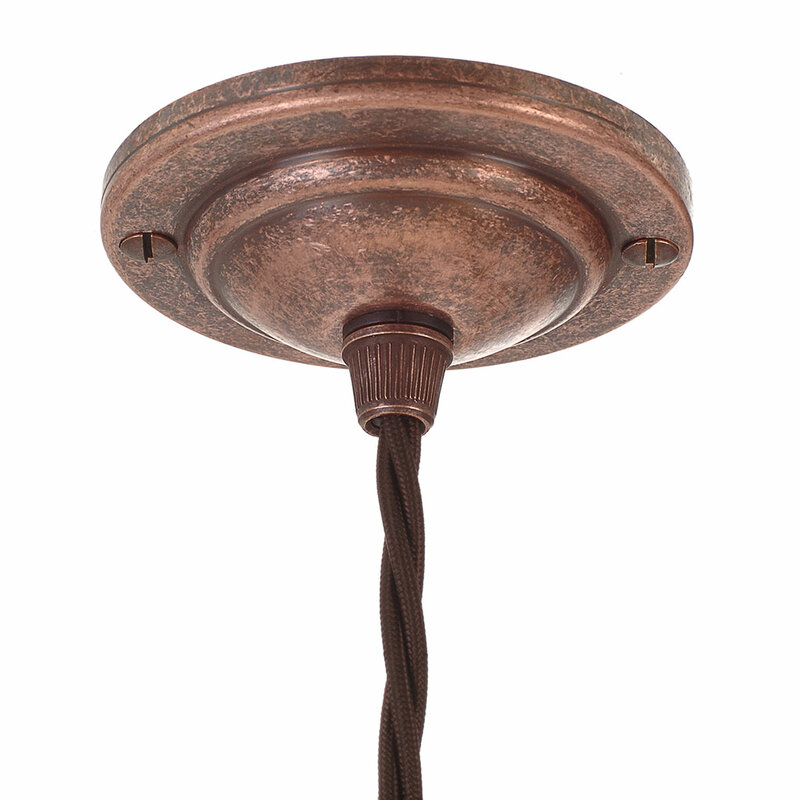 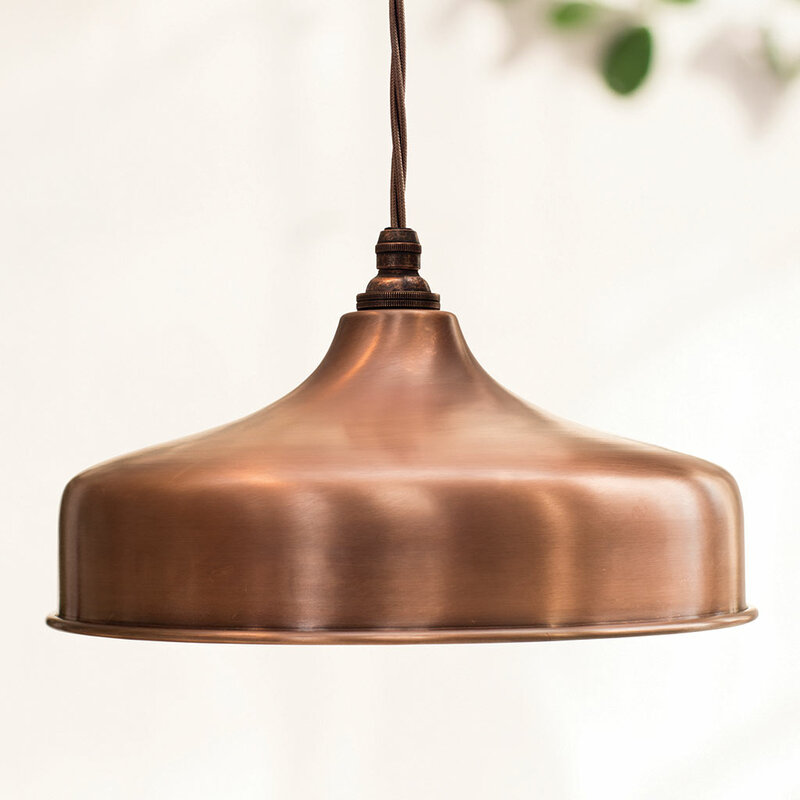 Available in steel in our smart Clay finish, in natural brass lightly antiqued, or in Heritage Copper which we create by hand finishing each solid copper light with an antiquing solution to accelerate the natural process of tarnishing. 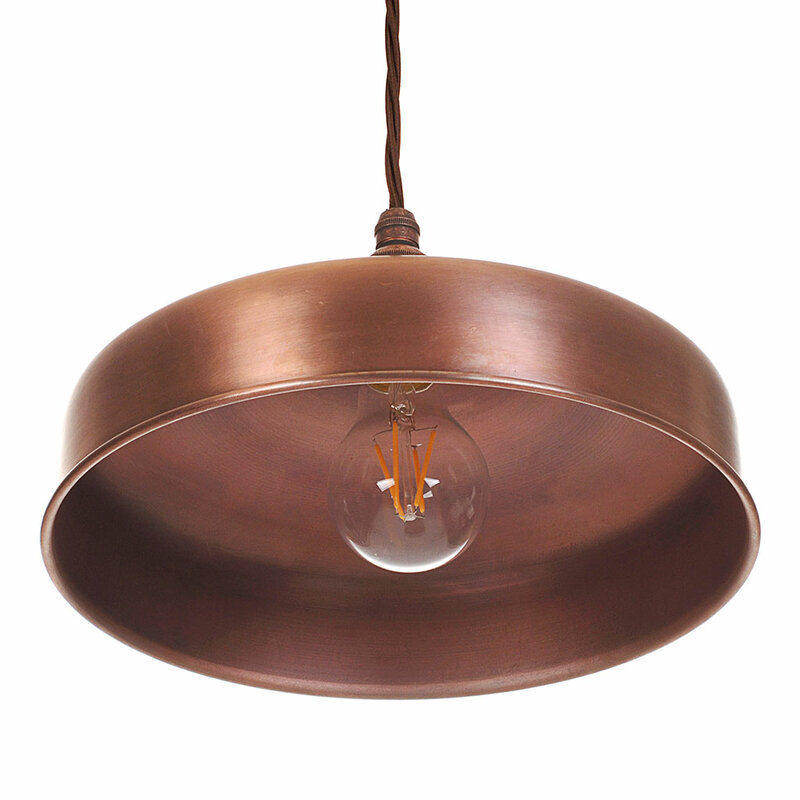 This process produces a beautifully soft, subtle finish which allows you to use on trend copper in a very classic and elegant way in your home. 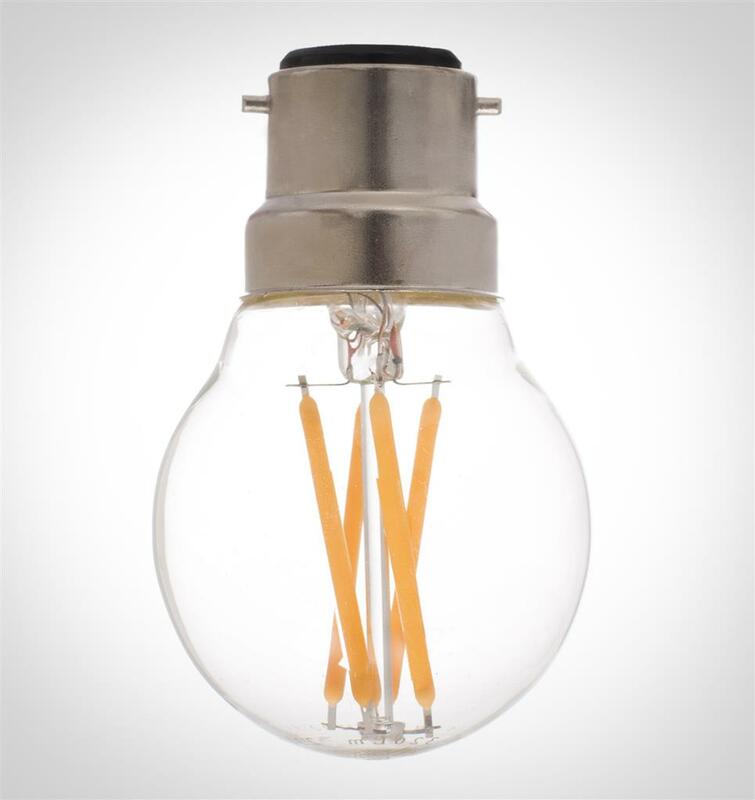 We recommend our range of LED bulbs as the perfect accompaniment to your light. This light looks fabulous in my kitchen, from start to finish the service at Jim Lawrence has been impeccable.